I Love CVille Real Estate LLC is a division of The Miller Organization LLC, a holding company for six limited liability corporations. I Love CVille Real Estate LLC is a real estate investment portfolio which owns eight properties (12,300+ square feet of residential and commercial real estate) across Charlottesville and Albemarle County and manages an active renter roster of 23 tenants. 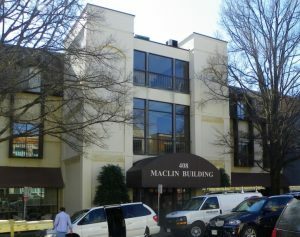 I Love CVille Real Estate LLC owns six commercial office spaces within The Maclin Building, a prestigious landmark in Downtown Charlottesville. . I Love CVille Real Estate LLC sells, leases, manages and markets commercial, residential and mixed zoned properties throughout Charlottesville, Albemarle County and Central Virginia. I Love CVille Real Estate LLC is actively pursuing real estate (residential and commercial) to add to its investment portfolio.